An injury caused by the negligence of another person isn’t just inconvenient, it can be devastating. Not only are you dealing with pain or loss of personal property, but you also have medical bills. You may even be forced to repair or replace your vehicle, motorcycle, or other property. You’ve heard so many stories about personal injury lawsuits, and you’re just not sure if you need an attorney. You’re not even sure you can afford to pay an attorney. Myths about personal injury law get bandied around all the time. Believing them could prevent you from getting the compensation you deserve. We’re dedicated to working side-by-side with injured people to protect their rights and interests. 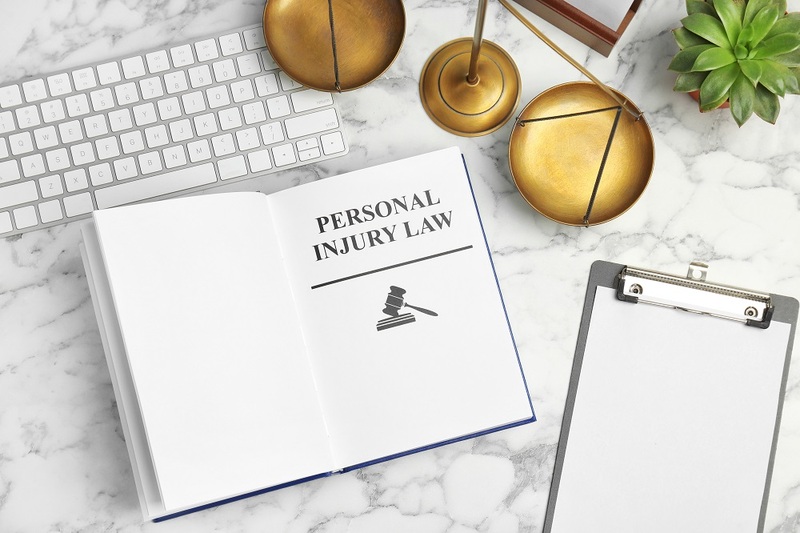 If the myths are holding you back from seeking the legal help you need, keep reading below as we dispel a few of the most prevalent myths about personal injury law. This is one of the most common myths that prevent people from seeking help from an attorney. How can you be sure you don’t need a lawyer? You can’t until you speak with one. There’s always the chance that you really don’t have a strong enough case to warrant hiring a lawyer, but you won’t know until you sit down with one and go over the details. There are plenty of clients who come in thinking they have a weak case or no case at all. After meeting with an attorney, they find out their case is much stronger than they assumed. You’ll never know until you talk to the person who is trained to evaluate potential legal cases. The truth: An attorney is the only one who can give you a legal opinion about your case and whether you need legal help. Have you heard the term “statute of limitations?” If you’re a true crime fanatic you might be familiar with it, but do you really understand what it means to a personal injury case? Despite what well-meaning friends might tell you, you don’t have time when it comes to filing a personal injury lawsuit. The statute of limitations refers to the time limit you have on filing and the clock normally starts ticking the minute you’re injured. The truth is each state has their own rules about the statute of limitations. In many states, but certainly not all states, it’s two years. Unfortunately, many people believe they have all the time in the world to file a lawsuit. They find out after it’s too late that they’ve missed the deadline. This is another reason why an attorney should be consulted immediately after an injury takes place. Maybe you do, maybe you don’t. According to the Association for Safe International Travel (ASIT), 2.35 million are injured or disabled in car accidents in the United States each year. That’s a staggering number of injuries! Out of those injured many most likely downplayed their suffering and never sought legal help. Even minor injuries result in medical bills and costs can add up quickly. If your minor injury causes you to take time off from work you’ve just added to what you must pay because someone was careless. The other issue with minor injuries is that in many cases, minor injuries morph into major medical problems. Maybe not immediately, but several weeks or months after the injury occurs. Don’t become a victim of self-diagnosis when it comes to the severity of your injuries. Let a personal injury attorney talk with you about the details of the accident as soon as possible after it happens. These are only three myths about personal injury law. There are many more that prevent injured individuals from obtaining the legal help they’re entitled to receive. Don’t let these myths deter you from talking with a personal injury lawyer.